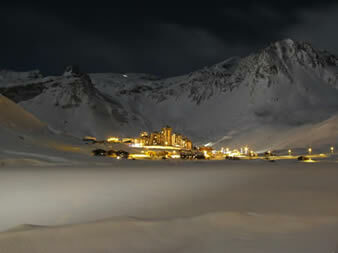 The ski resort of Tignes (2100m) is now made up of smaller villages. 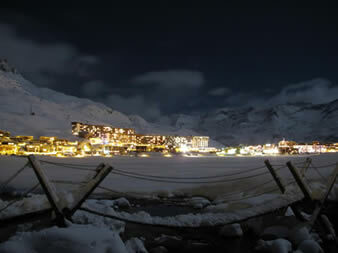 Le Lavachet, Le Lac, and Val Claret are the three main villages and are connected with a regular FREE bus service. Further down the valley you will find Les Boisses (1850m) and Les Brevieres (1550m) nestled at the very edge of the ski area. Snowsports enthusiasts of all abilities are catered for, with over 300km of pistes accessed by 97 lifts, (See Piste Map). The area around Le Lac offers plenty of gentle slopes for those tentative first turns. 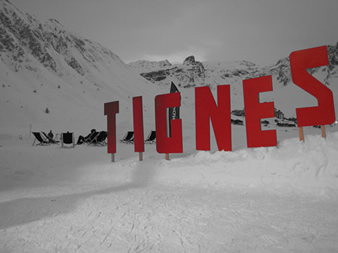 By contrast, the vast areas of off-piste have long provided Tignes with the reputation of an off-piste mecca. There are loads of options for lunch or a quick snack, grab a burger, nachos or pizza from Loop bar, just off the Rosset in Tignes Le Lac or head next door to Tignes Cuisine who serve a whole variety of Asian style meals, from noodles to Malaysian jungle curry - and for those tired ski legs, they also deliver. If you’re in Val Claret, then the Aspen Lodge for the awesome aspen burger and a milkshake is a must. A new alternative to Le Lavachet is La Cantine. This is a friendly cafe offering affordable breakfasts and lunch. 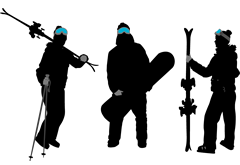 It is also ski-in, ski-out. To dine out, try the new L'Arti in Le Lavachet, or opposite try with confidence La Queue de Cochon for a gastronomic feast. If you are looking for more traditional food La Ferme des 3 Capucines, is a working farm, offering amazing Savoyard dishes. Boulele in Le Lac is a cosy French restaurant, or you could try Marmotte Arms for a no nonsense burger. Val Claret has many restaurants, one of our favourites is Couloir, or for a more French experience try Le Petite Savoyard. If you want atmosphere, Le Caveau is a great little restaurant which often offers live music too. In Tignes Le Lavachet, you can sample a few beers and live bands in Le Brasero, Queue de Cochon has great happy hour deals and even opens its pool at the end of season ready for the summer. If you're feeling peckish after a few beers, then grab a grilled cheese sandwich from La Cantine to keep you going untill your evening meal. In Le Lac, Loop Bar has a great sun terrace, happy hour and regular live bands for apres-ski. 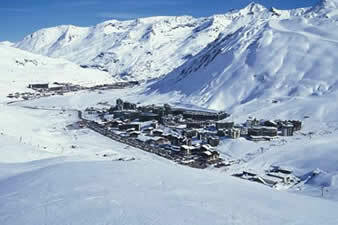 Marmotte is another great choice for apres-ski. No trip to Tignes is complete without visiting the Jam Bar or try Marmotte next door for live music, cheap beer and tasty burgers. For the later nights, check out Underground Bar and Jack’s Club. If you're in Val Claret, then it’s essential that you experience Grizzly’s Bar; surrounded by wooden bears, it’s a unique and memorable establishment. Also find the stylish Couloir bar and Saloon for some cheap drinks deals and perhaps finish at The Melting Pot. 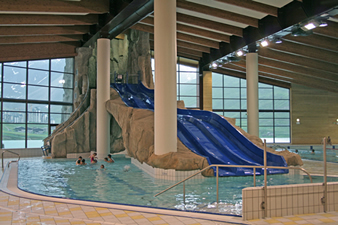 Le Lagon is the aqua centre that offers a 25 metre pool with lanes. It also has a family play pool area with a 3 lane water slide, leisure pool, bubble bed, whirlpool seat and geyser. Access to La Lagon is FREE with a 6 day lift pass. There is a wellness centre that includes a spa, steam room, saunas, fun showers and relaxing sun loungers. If you are still not worn out then there’s a gym to burn off some energy. The Tignespace complex has squash courts, table tennis tables, a huge climbing wall, trampolines, and a sports hall that can be used for football, basket ball, tennis or badminton. If you are looking for something a bit different, then why not try ice skating on the lake, racing an ice kart, riding a horse, driving a husky drawn sled, ice diving, riding a skidoo, paragliding or maybe a helicopter flight. 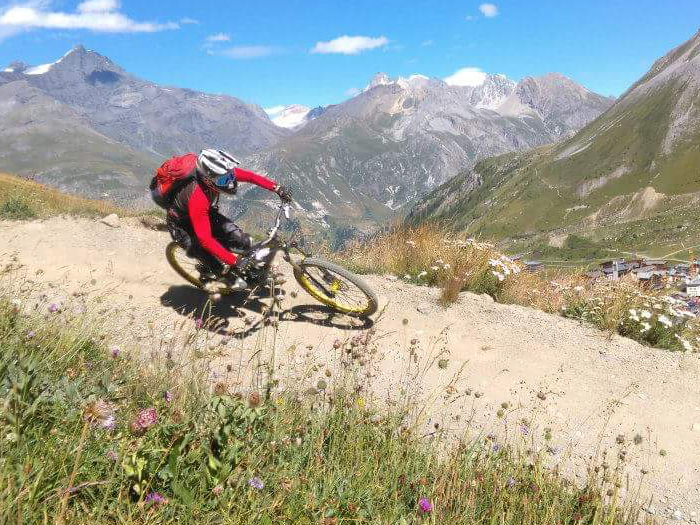 If you are in Tignes in the Summer mountain biking and glacier skiing are not the only things you can try. There are endless lake activities including stand-up paddle boarding, pedal boats, water slide and blob jump. If you’d prefer to stay drier you can find tennis courts, table tennis tables, table football, slack-lines, boules and volleyball courts all over Tignes. During the summer you will find the highest golf course in Europe in Val Claret, if you don’t fancy a full game just head to the driving range, or next door to the mini-golf! 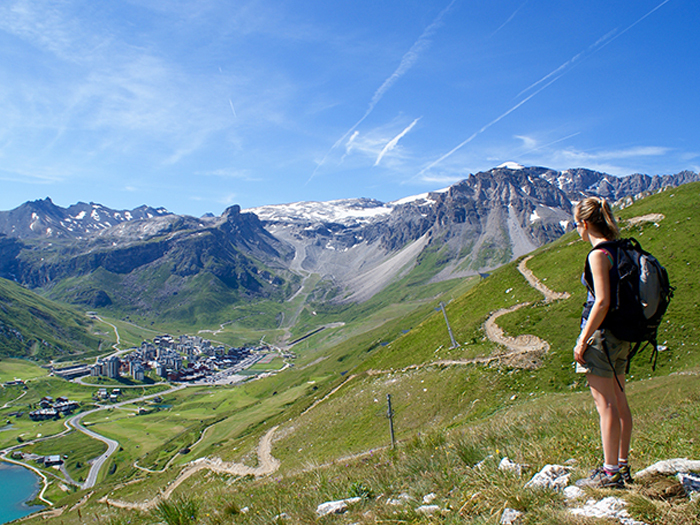 Please ask your chalet staff in Tignes for more info about all of the above activities on arrival.